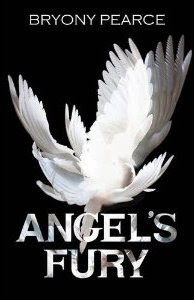 Everybody loves a villain, especially when you’re not quite sure who the villain is, and that’s one of the things that makes Bryony Pearce’s ANGEL’S FURY such an absorbing read. Who really is on the side of the angels? And would you really want the angels on your side? Conflicted characters make a writer’s life worth living. OK, that’s hyperbole; maybe I should say conflicted characters make it fun to sit down in front of the laptop in the morning. There’s only one thing more fascinating than the villain with a touch of good, and that’s the hero with a touch of evil. And of course, what’s good for the writer is wonderful for the reader. Nothing keeps you turning the pages faster than wondering what the characters are up to, and why. Bryony Pearce delves into myth and theology in her debut novel, and they are a rich vein of moral conflict and uncertainty. She keeps you guessing about the motivations of each and every one of her characters. Cassie Farrier suffers from insomnia caused by horrific nightmares; in desperation her parents send her for very unconventional therapy under the mysterious Dr Leaza Ashworth. Once confined at Mount Hermon with her fellow patients, Cassie has to try to unravel the ties between not just them and herself, but the lives of the long-dead. It’s a tense and occasionally horrifying journey that leads to the revelation of more than one spectacularly scary enemy. When it comes to complex characters from history, one of my absolute favourites is Alexander the Great. There’s much about him that isn’t known – especially his motivations – and he tends to provoke wildly different reactions. Was he a thug and a tyrant, or an immensely skilful warrior, strategist and diplomat? Or a bit of all of those? Alexander has been seen from the human perspective in fiction and non-fiction, from Mary Renault to Robin Lane Fox. Katherine Roberts’ sidelong approach gives an entirely new and enlightening angle – one alpha male on the quirks and foibles, the triumphs and disasters of another. 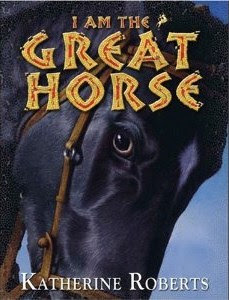 I AM THE GREAT HORSE is not just the story of Alexander’s war horse Bucephalas, though that would no doubt have been a terrific read in itself. Told by Bucephalas in the first person, it’s also his take on the humans around him – Alexander, but also the stable girl Charm who wins his trust by keeping away the ghosts of battle. Bucephalas’s voice is completely convincing: arrogant, proud and all horse (and he’s funny, what with his habit of ‘dominating dung’ and the way he compares it to the behaviour of human kings). Yet somehow, through his eyes, Katherine Roberts tells a subtle and nuanced story of real human struggles. Mingling fact and fiction, myth and legend, the story manage to be completely convincing. Bucephalas died before Alexander, and I wondered how Roberts would deal with that. But with only a minor tweak of history, she makes the ending convincing and moving. It was beautifully done. And please DO try to get a copy, anyone who hasn't got one - I was horrified when I looked up the link on Amazon to see this fantastic book has been allowed to go out of print. I'm sure we'll see it back in a new life SOON!